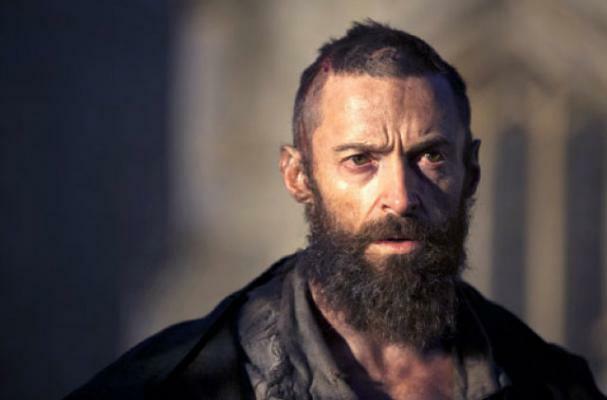 Hugh Jackman bulked up and got in great shape last year in preparation for his role in The Wolverine. However, filming kept getting pushed further back, until he had no choice but to shed some of those pounds for Les Miserables. So, for 36 hours straight, Jackman had nothing but water. "We were going to shoot [The Wolverine] last year and from then it was, 'Are we going to start in July? Are we going to start in August? Are we going to start in November?'" Jackman said. "So for the last year I've been staying in the vicinity of where I need to be. Then when I got Les Miserables, Tom [Hooper, director] said, 'You know, when we find you you're straight out of prison, which is effectively a labor camp. I need you to be worryingly thin, sunken cheeks...'"
Now, Jackman is back to bulking up for The Wolverine, which includes a high-calorie and high-protein diet.